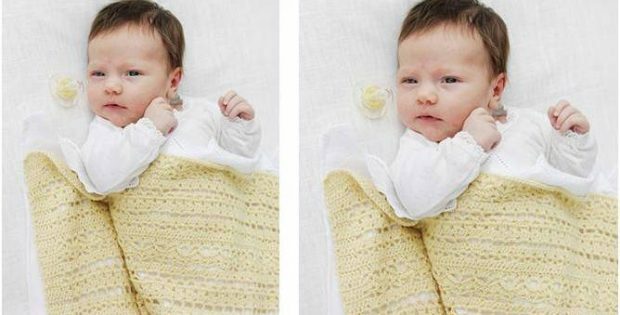 Wrap your cutie in this Blooming Lily crocheted baby blanket. The beautiful piece will definitely keep your little one warm and comfy. Once completed, the crocheted baby blanket should measure approximately 25.5 inches wide and about 34 inches long. In metric units, the finished crochet lace blanket should have a width of around 65 cm and a length of approximately 86 cm. This crochet baby blanket with lace detail is another lovely design by the talented team over at Drops Design.